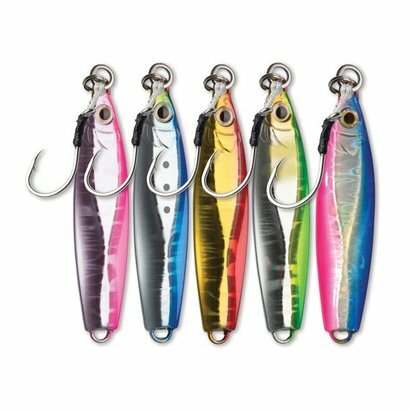 These metal jigs mimic baitfish like anchovys and pilchard. 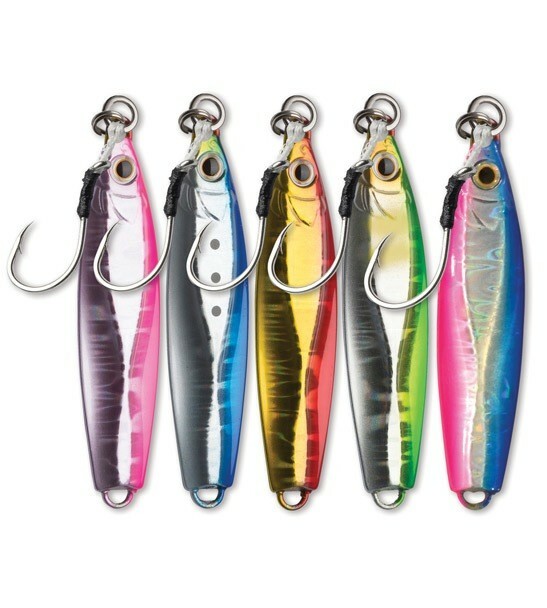 These metal jigs mimic baitfish like anchovys and pilchard. Colt Sniper Flatfall The design of this unique flat sided jig creates an butterfly action as it falls in to the strike zone like a wounded prey item and suspends longer in the water column for increased visibility to predators like snapper, kahawai and john dory. The technique for both Shimano Colt Sniper Jig styles is best described is a slow mechanical jig" action that most kiwi anglers would have become familiar with over the recent years. When you have reached your desired depth engage your reels drag and simply perform a big slow lift of the rod tip and a slowly retrieve line on to the reel as you drop the rod tip. 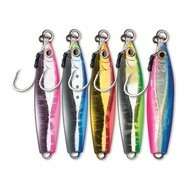 Predators will strike in both phases of the lift/drop so be prepared for a hook up at any stage. Pre-rigged with a quality assist hook, assist cord, split and solid rings.